Homeschooling is hard! I’ve discovered many things that I wish someone had told me before I began this endeavor. But the difficult journey will be worth it – the benefits far outweigh the challenges. When homeschooling is challenging, persevere. Here are a few tips to point you toward perseverance. When you’re ready to wave that white flag, reflect on why you began this journey. What was your reason for homeschooling? What is the chief aim of your homeschool endeavor? Take time to refocus and remember. This is a good time to pull out your mission statement and read through your goals and objectives. There really was a sane reason for beginning this insane adventure! Sometimes I need a cheerleader. I have to call on some backup in the form of my husband. He knows how difficult my days can be and he believes in our homeschool venture (and in me!). Sometimes he sits and listens, and other times he encourages me and lists all the improvements and successes he’s noticed both in the kids and in me. I need to hear those supportive words. Other times I simply need a short break or some time to collect my thoughts and prepare for another long day. My husband is wonderful in stepping up and stepping in to take over some housework or to keep the kids out of the house for a few hours. It’s a much needed break for both me and them! I can do this thing knowing that he has my back and will cheer me on. There are times when no one can understand your struggles like another homeschool mom. You need that kindred spirit who has “been there, done that” to listen and support you. This is why it’s important to have some homeschool friends – whether in real life or even in an online community. it helps to know that you’re not alone. You are not the only crazy person who stays home with her kids and tries to teach them something. There are many others just like you who have felt the same way! 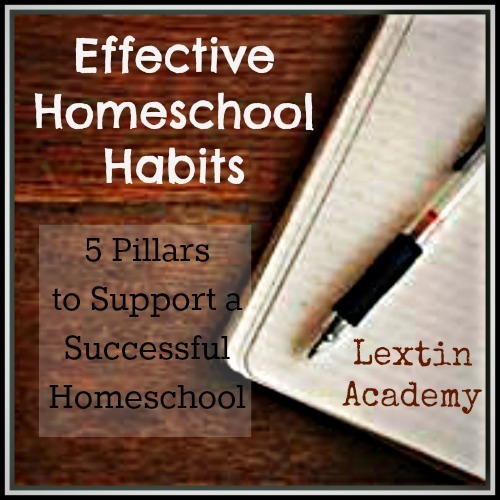 I think we’re sometimes afraid to admit that homeschooling is a challenge and a sacrifice. No one wants to speak out with any negative words about homeschooling. You read blogs and articles and picture a perfectly-put-together homeschool family with a clean house and brilliant kids. While I think homeschooling is wonderful privilege, I can also admit that it is the most difficult feat I have ever tried to accomplish. There have been many times I have wanted to give up. It’s ok to say it out loud – “Homeschooling is hard!” We would all do ourselves a favor if we can clean and confessed to our imperfections and our struggles. This is tough stuff but it’s worth persevering. Sometimes you just have to keep moving forward. Some days you will wake up and want to do anything but homeschool. Unfortunately there’s not magic formula to keep you motivated and moving. You just persevere. I’m in that season right now. I don’t feel like moving forward. I don’t feel like moving at all. I am tired and by the end of the day I hardly have any sanity left. But I keep persevering. In fact, that’s the word that I’ve chosen as my inspiration for our school year. I actually don’t feel inspired, motivated, or especially excited over the prospect of another school year. Yet, I will persevere because this is what I’m called to do in this season. Therefore, since we are surrounded by such a great cloud of witnesses, let us throw off everything that hinders and the sin that so easily entangles, and let us run with perseverance the race marked out for us. Let us fix our eyes on Jesus, the author and perfecter of our faith. That’s my plan for this year. I’m going to throw off the bad attitude and run this race with my eyes focused on the end result. This is my race that has been marked out just for me. With my eyes fixed on Christ, I will cross that finish line and persevere through another year. And I looked up the theological definition of perseverance used in this verse. Do you know what it said? I’m persevering only by the grace of God and it’s for His glory. There’s my motivation! Read blog posts by other Crew members for the August Blog Hop! Click on the button below!